The self-enlightenment experience is initiated by the realization that you are capable of direct access to the Divine. This is the realization that the wisdom of the Divine can be discovered deep within you. There is a wide range of means that can facilitate the self-enlightenment experience. Though the means may vary, the intent behind the means is quite narrowly defined as the intent to expand into a state of integration whereby all aspects of your conscious self become increasingly aligned with your divine essence. There are three particular life principles that help to align your perspective with the perspective of divine essence and thus inspire the self-enlightenment experience. They are: 1) seeing the Divine in all; 2) nurturance of life; and 3) gratitude. When you apply these principles, a deeper meaning will be revealed to the seemingly random events of your life experience. This is the principle that the Divine is present and can be seen everywhere and in all manifestations of life. It is interwoven in all things like an intricate mosaic whose pieces adhere to the same wall, and are thus unified. However, it is not the picture that unifies the mosaic, but the wall upon which its pieces adhere. Similarly, the Divine paints a picture so diverse and seemingly unrelated that there appears to be no unification. Yet it is not the outward manifestations that unify. It is the inward center of divine energy that unifies all life. Seeing the Divine in all is the principle that all manifestations of life convey an expression of All That Is. It does not matter how far the unifying energy has been distorted; the Divine can be observed. It is the action of perceiving unification even when the outward manifestations appear random, distorted, or chaotic. The principle of seeing the Divine in all is the perception that life is perfect in its expression because it flows from perfection, and that no matter how divergent its manifestations are, all life is an extension of the Divine. In light of the obvious turmoil and intense destruction that are apparent on Earth, this is an outlook or perception that may seem naive. How can life in all its forms and expressions be perceived as optimal or perfect? This is the great paradox of life, and it cannot be reconciled with your mental or emotional capabilities. It can only be understood in the context of the soul, which is deathless, timeless, and limitless. Calling forth the divine perceptions of the soul is actualized through looking for both the inward and outward manifestations of the Divine. It is not only that the Divine is found within you and every manifestation of life; it is also in itself the wholeness of all life. Thus, this principle of self-enlightenment calls for seeing the Divine in all its diverse forms of manifestation, as well as in the wholeness of life itself. Life, in this definition, is an individual's sovereign reality. It is subjective and impressionable. Life is the wholeness of experience flowing past the individual's field of perception in the present moment. Nurturance of life is the principle whereby an individual is in alignment with the natural expansion of intelligence inherent within all life. This alignment enhances the life energy that flows past the individual with the clear intent of gentle support. It is the action of opening to the highest motive in all people and in all life and supporting the flow of this highest intention towards its ultimate expression. In so doing, the action is performed without judgment, analysis, or attachment to outcome. It involves simply nurturing the highest energy that flows from all people and thus supporting the fullest expression of their deepest essence. This is a departure from the normal perception that nurturing support can only be granted when others are in alignment with your personal will and desires. When, instead, you view everything in your life as an integrated energy flowing as an expression of ever-expanding divine intelligence, all life is honored as an extension of the Divine. All people and all forms of life can be nurtured and supported to their highest expression. Energy is an element of life that is so subtly interwoven with form that it is one, in much the same manner as space and time are inextricably linked in union. Life energy is always in a state of becoming. It is never static or regressive in its natural state. You are very capable of nurturing this natural expansion of energy to forge new channels of expression and experience. There are many specific actions that can be taken to nurture life. 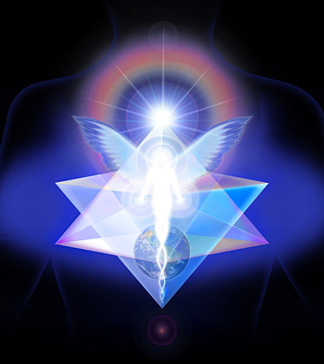 Each soul can transform energy through a wide variety of means. Working through your body, your soul is able to collect and store energy and redirect its purpose or application. This transformation of energy can occur on both personal and universal levels of expression. That is, within an individual's field of awareness at any time, energy can be transformed to conform more to a vision of personal welfare or aligned with a vision of universal welfare and goodwill. One of the best methods to transform energy is through one's belief system. All beliefs have energy systems that act like birthing chambers for the manifestation of your perceived reality. Within these energy systems are currents that direct life experience. Your soul is aware of these currents either consciously or unconsciously and allows them to carry you into the realm of experience that exemplifies your core belief system. By cultivating beliefs that expand and transform energy, you are able to engage energy systems that are nurturing to life in all its myriad forms. When your beliefs are clearly defined as intentions, your life energy engages fully in the present moment. Clarity of intention is essential to engaging the energy system of your core beliefs, and to allowing the nurturance of life to prevail in all activities. If you are aware – or at least interested in having the awareness – of how perfectly the Divine supports your sovereign reality, there is a powerful and natural sense of gratitude that flows from you to the Divine. It is this wellspring of gratitude that opens the channel of support from the Divine to the individual and establishes a collaboration of purpose to transform the individual soul into a pure expression of divine essence. It is principally gratitude that opens you to connection and alignment with your divine essence. When you project gratitude, regardless of circumstance or condition, life becomes increasingly supportive. This feeling of gratitude coupled with the mental concept of appreciation is expressed like an invisible message in all directions and at all times. Gratitude is an essential facet of love that opens you to redefine your purpose as a supportive extension of the Divine, rather than the whimsical outreach of fate or the exacting reaction of a mechanical, detached universe. Establishing a relationship with the universe through the outflow of gratitude also attracts life experience that is deeply transformative – experience that is richly devoted to uncovering life's deepest meaning and most formative purpose. When you choose to align with divine essence and to live from this perspective as part of an ever-unfolding reality, you attract a natural state of harmony. This does not mean that your life is without problems or discomforts; rather it signifies a perception that there is an integral purpose in what life reveals. Life experience becomes meaningful to the extent that you choose to live in natural harmony with divine essence. When your personal reality flows in alignment with divine essence, you create lasting joy and inner peace. It is the perspective of divine essence that all life is pure love in its fullest expression, and that in this single concept, all life is conceived and forever exists. This becomes the core belief from which all other beliefs arise. And as these beliefs expand outward, this core belief system emerges with a clear intent of supporting a fundamental perspective of seeing, nurturing, and appreciating the universe as the divine cradle from which all life is created and evolves. These life principles are merely symbols represented in words and served to you as a potential recipe to stir awake the embers of light that tirelessly burn within. There are no specific techniques or rituals that are required to invoke their power. They are simply perspectives. In a real sense, they are sacred intentions that attract experience that expands consciousness. They do not provide quick fixes or instant realizations. They are amplifiers of personal will and intention that clarify how one lives. Their profound transformative power is contained exclusively in the intent of their application. Through these principles of self-enlightenment, you can become a master of empowering your deeper self. When you apply these principles with clear intent, you have the tools to accelerate the emergence of divine essence. You can awaken the perspective, insights, and empowered abilities of your divine essence to create new realms of possibility and shape them as learning adventures that expand and transform consciousness. This is the underlying purpose of these principles, and perhaps the best reason to explore them.